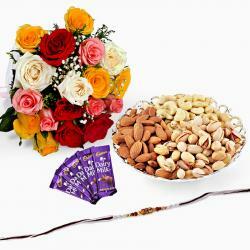 Single Rakhi, Motichur Ladoo (Weight : 500 gms) along with 15 Exotic Flower Bouquet. 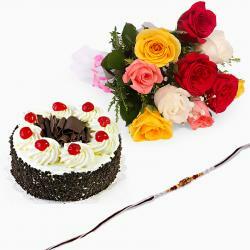 Rakhi is the festival of Love shared between brothers & sisters in a special way. But to blend the celebrations with similar gifts cannot make it unique every year. 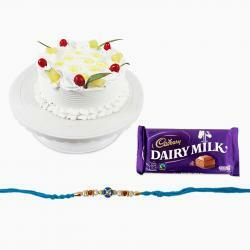 So, you can choose exclusive gift packs with rakhis & special combos for rakhi. On your way to make this festival celebrations different & unique, an attractive pack of designer rakhi sets & a bunch of uniquely flavored combos is best in itself. 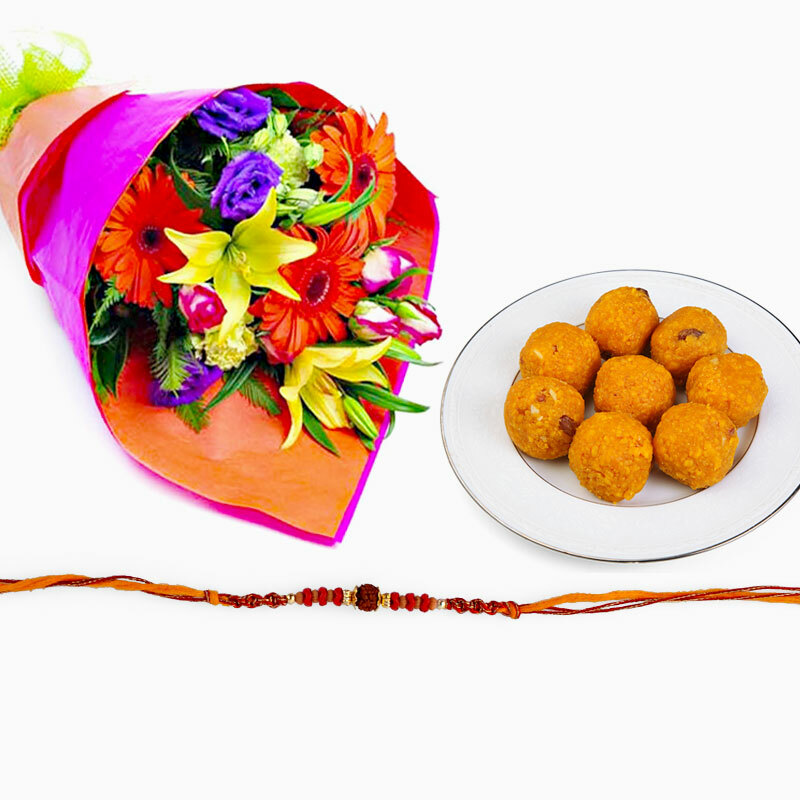 This beautiful Rakhi Combo includes : Single Rakhi with Motichur ladoo (Weight : 500 gms) and 15 Exotic Flower Bouquet.